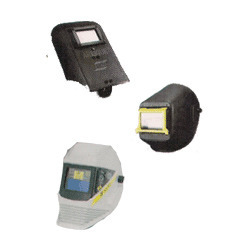 As one of the reputed firms, we are able to offer an inclusive variety of Safety Helmets. With enriched industrial acquaintance, we are offering our products a diverse series of Safety Helmet. Owing to their top quality, these are extremely demanded. The four point attachment cradle within the shell has a unique angular placement to provide optimum shock absorption. 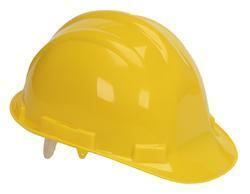 We are engaged in offering wide range of safety products. Fiber glass helmet are molded in one piece from natural reinforced fiberglass polyester resin. Heat resistant, heavy impact and scratch proof. - Description -Clamshell Packaging, Easily Peggable, Adjustable Fit System , included, CE Certified. We offer a comprehensive range of head protection gears that are available in a wide array of option suiting different hazardous situation where head protection is a must.